ROV system are vital to oil and gap E&P beyond saturation diving maximum depths. Full saturation diving has been conducted to depths of nearly 600 meters (2,000 feet). 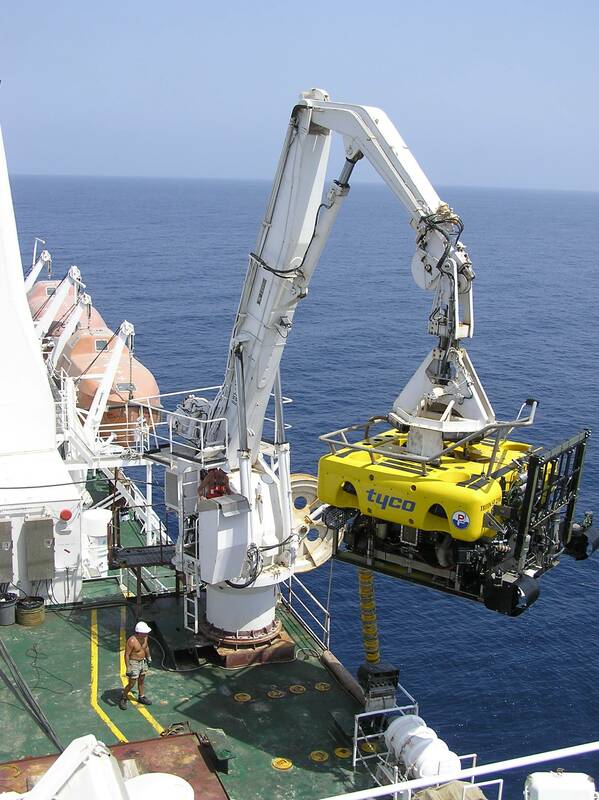 Beyond this depth ROVs are employed to undertake the diver’s tasks such as opening and closing valves, construction and equipment monitoring. In order to be deployed from the surface by support vessels, ROVs must be launched, recovered, and safely and efficiently operated using dedicated systems. Two systems are needed to successfully launch, recover and operate and ROV, these are the LARS (Launch and Recovery System) and TMS (Tether Management System). 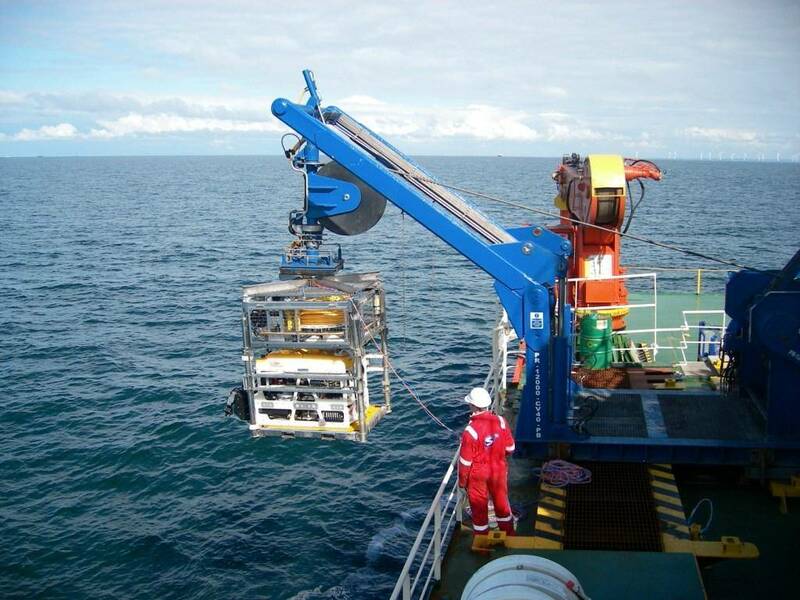 ROVs may be directly deployed from a simple crane, but with its heavy weight the risk of damage is significant, especially when considering a vessel’s swinging motion while the WCROV is suspended between the launch point on deck and the insertion point in the splash zone. The most common ROV launch and recovery system is composed of an A-frame, yet LARS systems can also be composed of a heave compensated, heavy-duty crane. 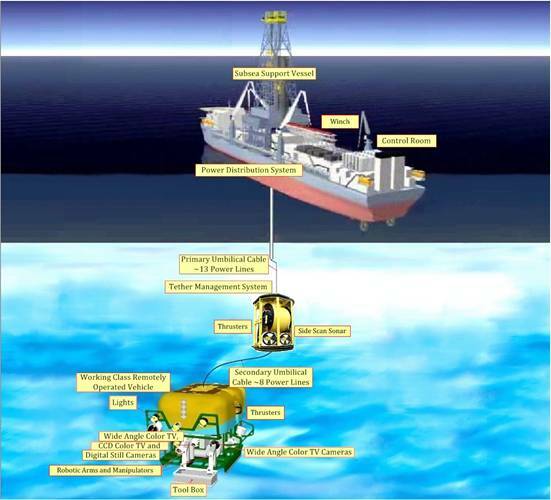 The LARS systems may deploy the ROV from a vessel’s sides, stern or using an internal moon pool. Most Work Class ROVs used by the oil and gas industry for deepwater operations are equipped with at least one video camera and lights. Additional equipment includes one or more sonars, a photo camera, manipulator or cutting arms and a wide range of sampling and tooling options. 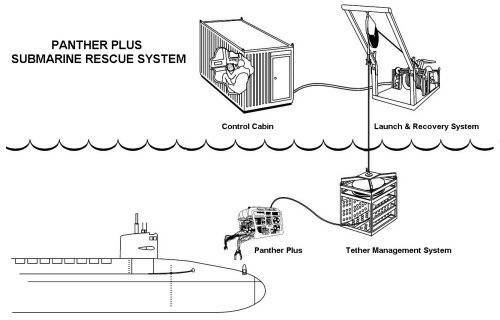 When larger systems are used in currents, which may vary in intensity and direction in different depths, a tether management system (TMS) allows the WCROV to be deployed to depth using a strong and heavy umbilical cable and then flown out from the TMS using a lighter, more flexible cable. Once the deployment of TMS is hoisted off a vessels deck and through to the splash zone, the ROV load becomes a “wreckers ball”. In high sea states the sway of the load can become quite dangerous. The answer to this problem is the lock latch or docking head. This mechanism grabs the TMS at its attachment point to the umbilical and maintains it in place against the A-frame while dampening the motion of the load with hydraulic or pneumatic accumulators around the various axis of sway.